Versent has acquired Sydney-based actionable insights business Contexti, as part of plans to deepen data solution offerings across Australia. Founded in 2012, Contexti specialises in artificial intelligence (AI) and machine learning, with more than 100 enterprise customers which include Caltex, Seven West Media and SAI Global. According to Thor Essman - founder and CEO of Versent - the acquisition will boost the provider’s ability to respond to increased demand for machine learning, data analytics and data aggregation solutions. “Our deep expertise in Amazon Web Services (AWS) Cloud, and automation, combined with Contexti’s proven track record delivering automated AI solutions, big data development and data warehouse solutions for Australian enterprise, means we can now offer our customers a complete data and analytics solution,” Essman said. “Bringing the Contexti team into the Versent family and bolstering our data offer to the Australian enterprise will give our customers, and future customers access to the best minds and solutions in the industry, all under one roof. 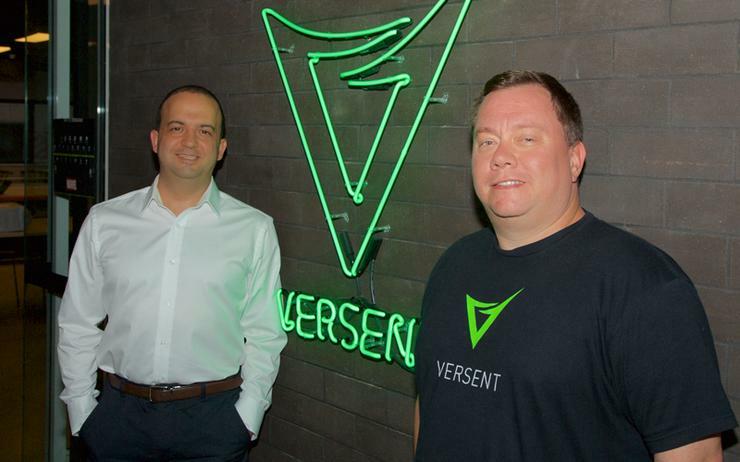 "I am genuinely excited about what the next 12 months has in store for Versent and our customers." Terms of the acquisition will see the Contexti brand come under the Versent banner, with the team set to move into Versent’s Sydney-based office as part of the integration plans. Contexti founder and CEO, Sidney Minassian, will continue in an advisory capacity until the end of the financial year. Contexti’s current roster of data technologies include solutions from Snowflake, Talend and Streamsets, which will now fall under new agreements with Versent. Furthermore, Contexti recently became the first Australian partner for software-as-a-service provider Anodot. As reported by ARN, the partnership sees Contexti bring Anodot’s machine learning, AI and cloud automation solutions to mid-market and enterprise customers in Australia. Meanwhile in September, Versent made a number of senior leadership hires including former Thomas Duryea Logicalis co-founder, Micah Smith, who joined as general manager of migrations. Furthermore, Robert Frendo was appointed as general manager of strategic growth while Sixtree-founder Brett Wilson became practice director of product. At the time, Essman revealed that Versent was tracking towards nearing 300 staff across the company and had its eye on expanding into the US market, through its partnership with security vendor, Ping Identity. Essman indicated that Versent would continue to push growth across every state in Australia, and was possibly considering a move into the Canberra market, while also noting that its Singapore business was starting to grow particularly in the automation space.